The Longhorns' baseball season mimicked a roller coaster in 2012, taking fans to extreme highs before pushing them over the edge. 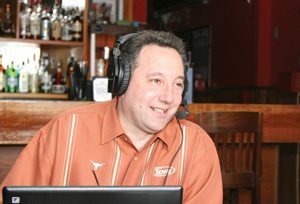 Craig Way sat in the front seat for the entire ride, providing play-by-play action on AM 1300 The Zone 103.1 FM and the Longhorn Radio Network. Horns Illustrated caught up with Way to capture his thoughts on this year’s team, along with his top five picks for this season’s top five games. This article is available to subscribers. Please Login or Subscribe to continue reading.